This is an AR-15 Cammenga EasyMag 30rd. Magazine. Cammenga is leading the development of next-generation firearm magazines with the CAMMENGA EASYMAG series. The Model EM3-556, 30 round M16/AR-15 magazine features an open case design that allows for fast loading, unloading, and cleaning. The casing, follower, and baseplate are made of high-strength 1050 spring steel and are finished with a two-layer anti-friction coating(dark gray/black). A large tip-proof steel follower and chrome silicon main spring provide optimal feeding performance and long lasting reliability. The CAMMENGA EASYMAG eliminates the need for a separate loading device. 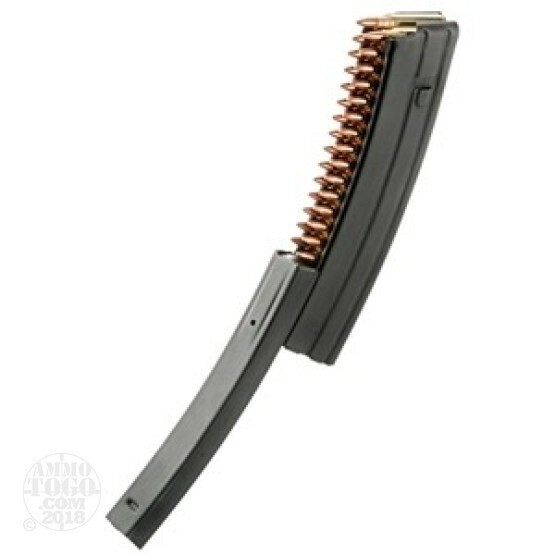 The EASYMAG can be loaded twice as fast as conventional magazines when using loose ammo, and can also be loaded like a conventional magazine using stripper clips, and can be opened and cleaned in seconds. Click the link below to go to their webpage and check out the video of this magazine, it is impressive. It takes a few times to get used to loading these properly, but once you have it down you can roll through 30 rounds in less than 30 seconds. Function has been flawless in several trips to the range with all types of ammo, military surplus, .223 as well as longer match ammo. I've used a lot of mags over the years for M16/M4 variants, and these are the best so far. I have 7, and have recommended them to everyone I know with an AR. Very nice magazine, makes both loading and unloading the mag very easy, obviously they are a bit heavier than a standard aluminum magazine but makes up for it in toughness and convenience. they have a good follower and fits and functions nicely in my RRA entry tactical. I will be buying more of these soon i wish i discovered them a little sooner, well worth the money. If you haven't checked out their website i suggest you do. These things are great! Big thanks to Cammenga for rolling out this beautifully well thought out magazine! Smooth, fast, easy loading without the pain that comes from loading mutliple mags repeatedly. Fit perfect in my DPMS, looking forward to putting it to the real test next week! 2. Load it all the way for however far you pull the slide. Otherwise you will send rounds flying when you close it up. Came a little bit too stiff, but got problem fixed. This is genius, one of the fastest and less painful to load 25-30 rounds. Did a good job on my 5.56 and a beautiful loaded in 5.45 rounds, a bit loose for 5.45 but function flawless. Thanks ammotogo!